Kronospan Vario Plus 12mm Rockford Oak Laminate Flooring uses bevelled edges to add an extra layer of distinction to the high quality design. 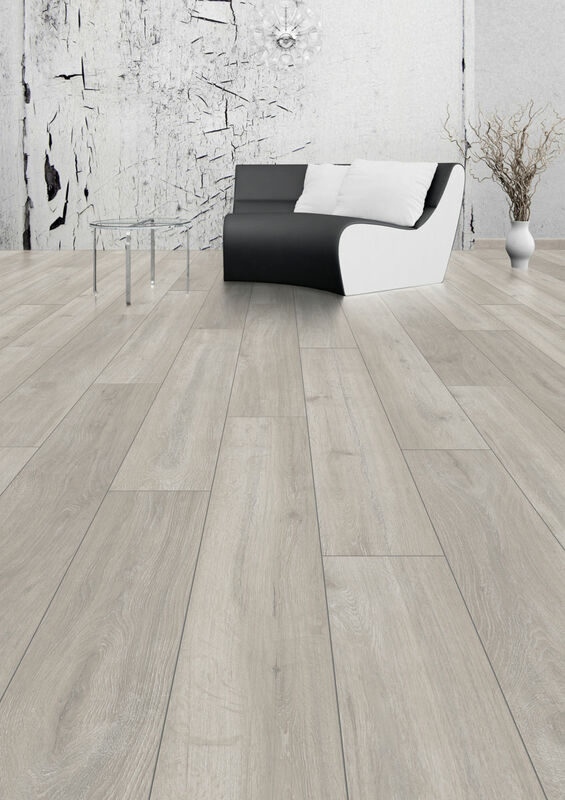 The muted shades of this floor allow it to blend seamlessly with a wide range of interior designs, whilst the beautiful grain pattern offers great variation across the boards. Well packed turned up on time and good quality,no complaints. 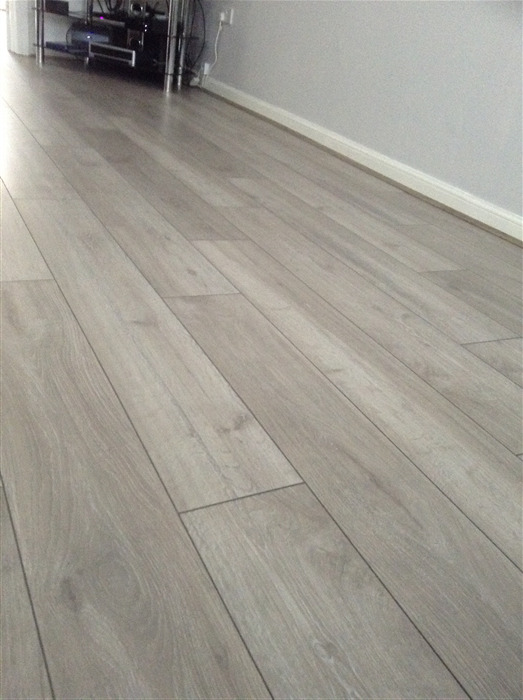 Very pleased with this laminate . Lovely colour. Beautiful finish with a very subtle sheen to it. Great quality at a very reasonable price. I can highly recommend it. is it possible to use this laminate on steps, if so what stair profile would you recommend? Hello. 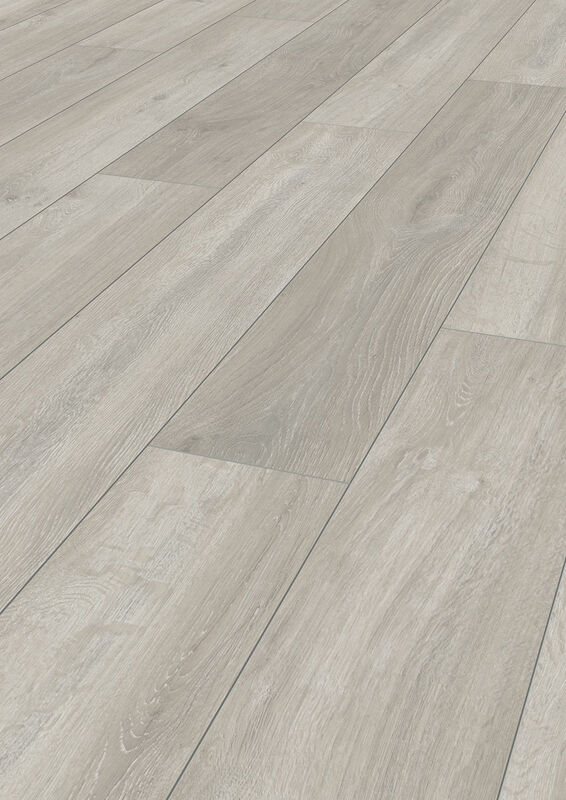 would the Kronospan Vario Plus 12mm Rockford Oak Laminate Flooring Product Code: 5G12VA5946 be suitable for use with electric under floor heating? 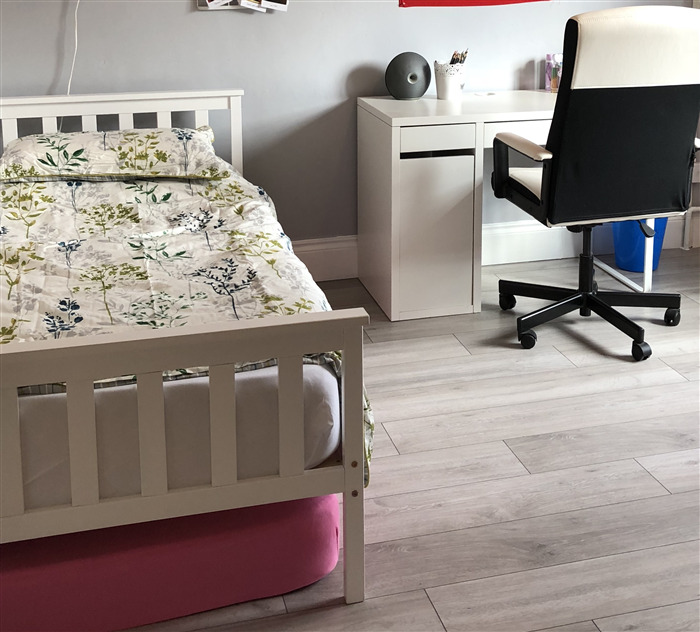 Hi Tony, This laminate floor is rated AC4 on a scale of durability which goes from AC1 to AC5 - it's a very robust floor and should be absolutely fine for commercial settings like an office.